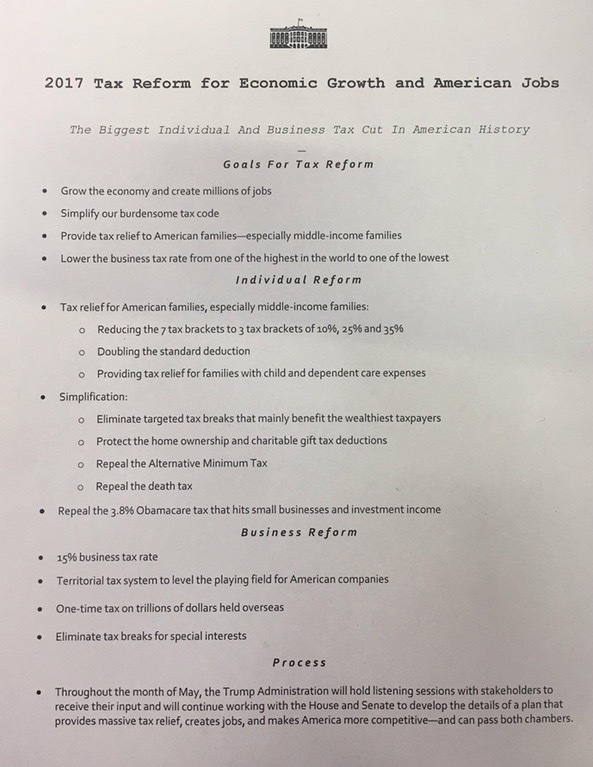 After months of anticipation and speculation, we finally know what the Trump administration’s first stab at tax reform looks like. 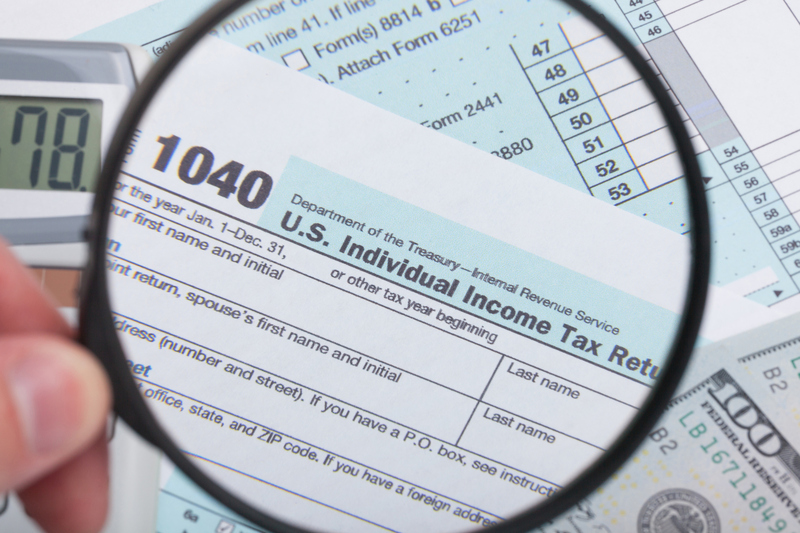 For individuals: The seven current tax brackets — at 10, 15, 25, 28, 33, 35, and 39.6 percent — would be replaced with three brackets at 10, 25, and 35 percent, though the income levels at which those rates would apply were not announced. In addition, the standard deduction would be doubled and the alternative minimum and estate taxes would be repealed. “Trump also reiterated his call for repeal of the net investment income tax of 3.8 percent imposed on unearned income and gains of high-income taxpayers by the 2010 Patient Protection and Affordable Care Act,” Paul Bonner wrote for the Journal of Accountancy. We’re a long way from knowing how many of these proposals will survive under the congressional knife. For now, this is what we have. We also have the usual suspects examining the proposals and offering analyses and educated guesses about what the proposals would mean for individual and corporate taxpayers. We’ve collected a few of them here. Read up, then settle in for what promises to be a long and bumpy negotiation.